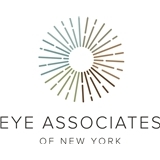 Eye Associates of New York (New York) - Book Appointment Online! At Eye Associates of New York we strive to provide the best possible eyecare for every patient. Our expert team utilizes state-of-the-art technology for diagnosis and management of any eye condition, simple to complex. We offer comprehensive eye examinations in an efficient, yet personal, experience that will leave you more knowledgeable about your own eye health and with the ideal recommendations for your vision correction needs. Please schedule an appointment today and we look forward to serving you! There was almost no wait time. My entire visit lasted maybe half an hour. Very professional. Friendly staff. Highly recommended. I am very happy to have the eye exam done with Dr. John. He took his time to explain everything to me. Very thorough testing. The facility has very high tech machines and the staff is great. Appointment has no waiting time . He was really accurate and professional . I will suggest to a friend and I keep for next visit.